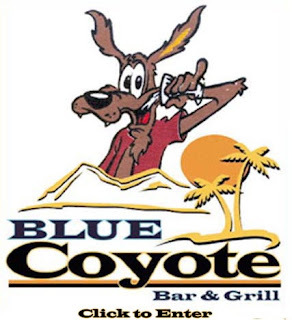 The Blue Coyote restaurant has gone way, way downhill over the past few years. We'd not been there in about five years. We and the neighbors decided to give it a try; we were all very much disappointed. 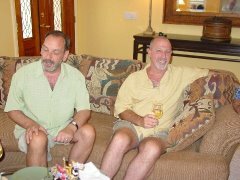 The food was not authentic, the drinks were weak, to the point of having no alcohol, and the prices were high for what was served. We will not be returning. I must say, though, the service was pleasant and efficient. I came across this recipe recently from Everybody Loves Sandwiches and it was just cool enough outside that it appealed. Not to mention that all the ingredients were in the pantry and/or the freezer. I had a pack of frozen ham slices from last Easter, so that was perfect. I used Trader Joe's frozen corn which is exceptionally sweet. We had on hand a tub of fire-roasted salsa from Costco, which is nice and spicy, so much so that no extra hot sauce was needed at the end. No sour cream around, but there was a tub of Crema Mexicana, which made it even more authentic. Also we had a baggie full of finely grated dry Mexican cheese, and a tablespoon or so at service time really added a lot. Accompanying the soup were mini corn muffins, which I had made for a dinner a while ago and froze the leftovers for future. I wished I had had an ice-cold Mexican beer to wash it all down. Gotta get some to have on hand for those three or four times a year I actually want a beer. This soup is a keeper, definitely, and I'll be making this again. Note: This soup improves over the course of a few days. Plan on making it at least one day, even up to three days, ahead of time. 1. Heat 1 teaspoon of olive oil in a large pot. Add in onion and garlic and sautee for a few minutes until translucent. Add in red pepper, ham and chipotle powder and stir until combined. Add beans, salsa and cover with chicken stock. Cover pot and cook over medium-low heat for 10-15 minutes. 2. Turn down the heat to a low simmer. Use a potato masher and mash up the beans until the soup thickens. Add in corn, hot sauce and the lime juice and give everything a good stir. Simmer for a few additional minutes until everything is heated through. Serve in bowls with slices of avocado and a dollop of sour cream. Road Trip, Anyone? Gotta Get One of These!